Liftgate manufacturers need to contend with a great many variables as they seek to make their hydraulic lift assemblies operational on the widest possible variety of vehicles. Is it a pickup truck, straight truck, van, or trailer application being used? What are body widths? Will it be a swing up platform or a stowaway gate? What ground clearance and load must it support? Will it cantilever to support uneven ground? The list of considerations goes on well beyond these and fleet managers need to consider all them when designing liftgate solutions for their work trucks. One thing however that seems to be more agreed upon are the requirements of the platform activation switches. These are typically mounted in a fixed position on or near the liftgate. As such they are often exposed to the same conditions as the outside of the vehicle itself, namely rain, mud, dirt, wind, vibration and temperature extremes. 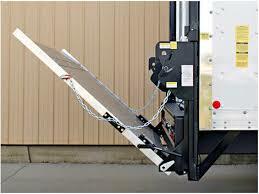 Given the propensity for operators to ride up and down on the liftgate, they are often designed to go for the ride too. Don’t worry about lead lengths either. 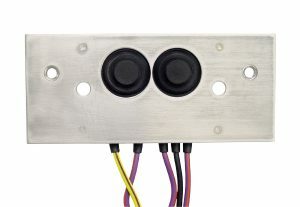 Our switches and switch panels can be ordered from the factory at any custom lead length you need. Given our durability and worldwide leadership in waterproof switching solutions, it’s likely that our switches will be the last you’ll ever need for your liftgate application. Give us a call today to discuss.